During the set up of Man&God Bangkok, we had support from our sponsors HP, our partners and students of SoA+D, Kmutt and Tribes Community. 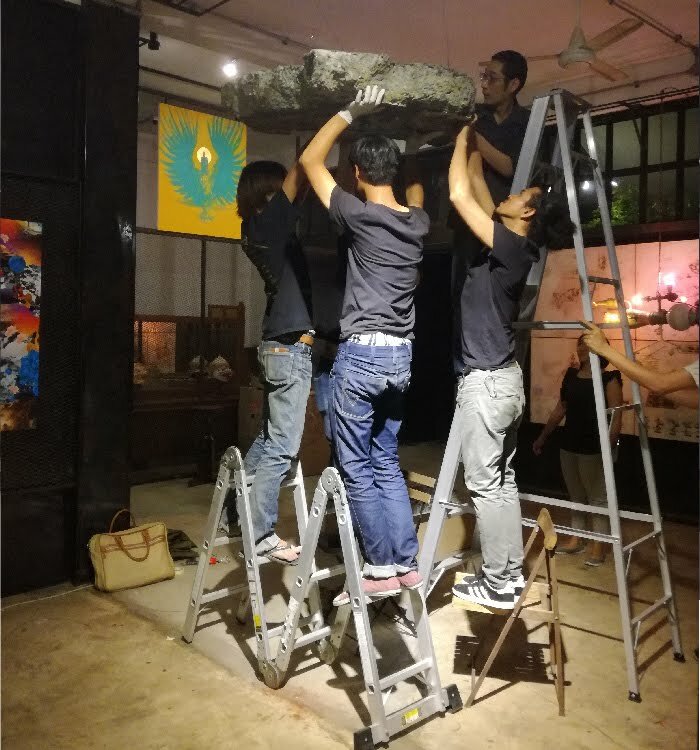 Kentaro Hiroki working on "God is on Our Side"
Peerada Puapoomcharoen putting final touches to "A Group Selfie"
The 15th edition of Man&God Bangkok had great support from the Thai artists and design community. 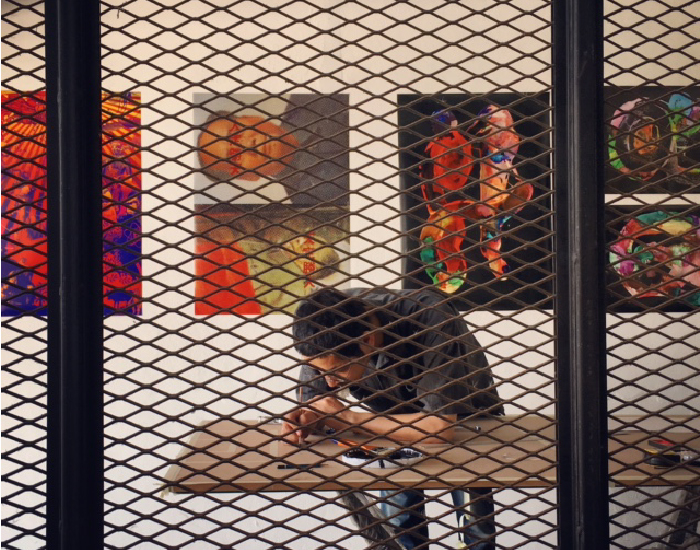 Their intricate and detailed works rooted in their culture made it relevant to our visitors. 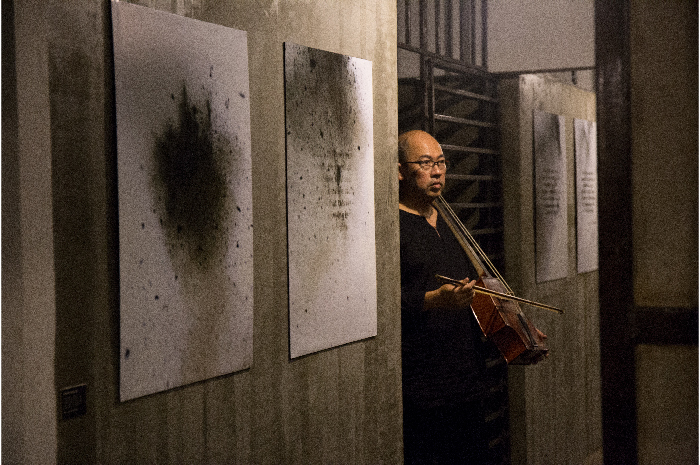 On the opening night, Hongtae Taecholarn (one of our featured artist) hosted a small sharing with other featured artists about their work for Man&God before the audiences enjoyed a Butoh performance by Lee Swee Keong. 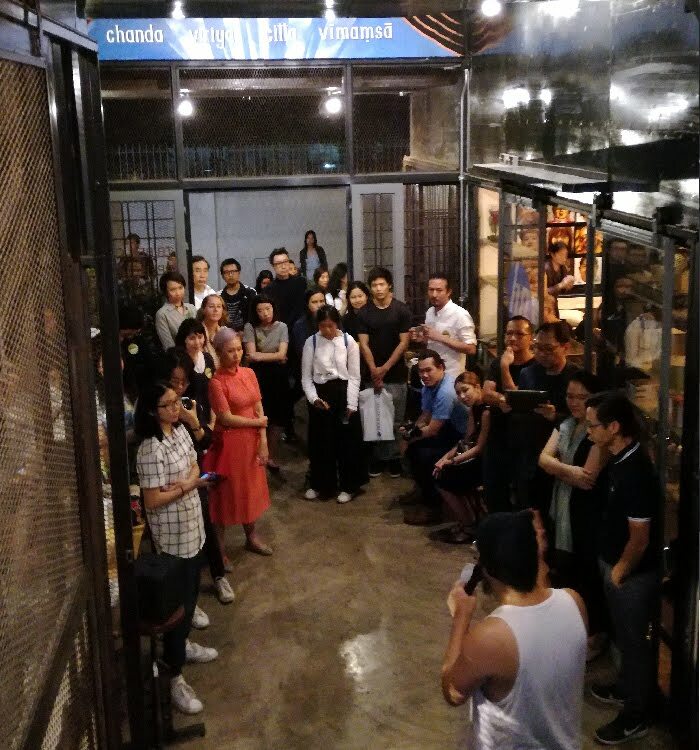 In this performance, Swee Keong captivated the audiences with a performance in an enclosure, with the audience observing his movements through a glass box. 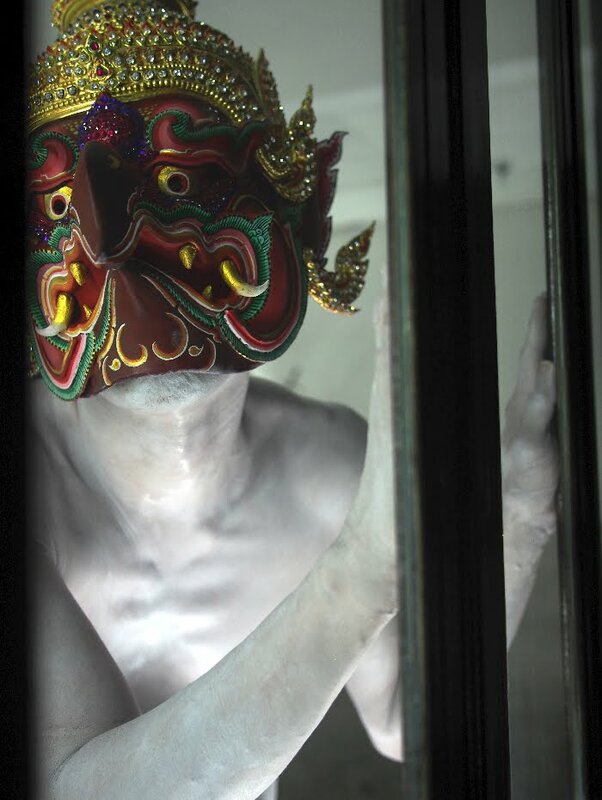 Swee Keong performed in a Garuda mask made by Hongtae amidst 3nity's installation of "Pick Your Seat", with the accompaniment of Khun Anant's music. 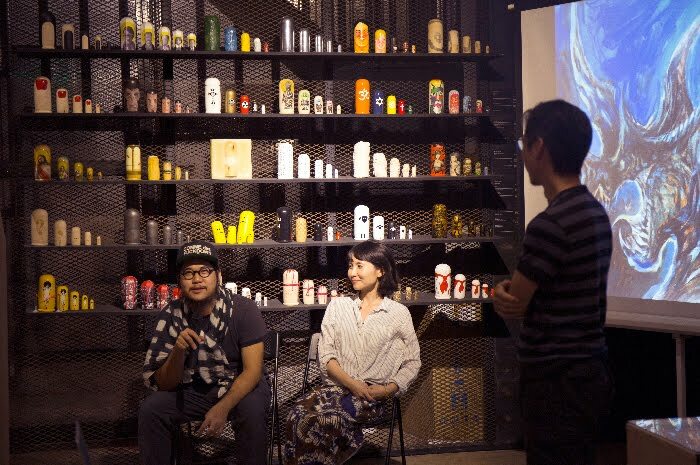 Sali Sasaki, Hongtae Taecholarn and Joseph Foo shared their thoughts on Visual Arts & Spirituality on 17th February. Their upbringing in their respective culture inspired distinctive art style though connected through the same theme. Following the sharing, Swee Keong performed again but this time for 3 consecutive times at Tribes Community. 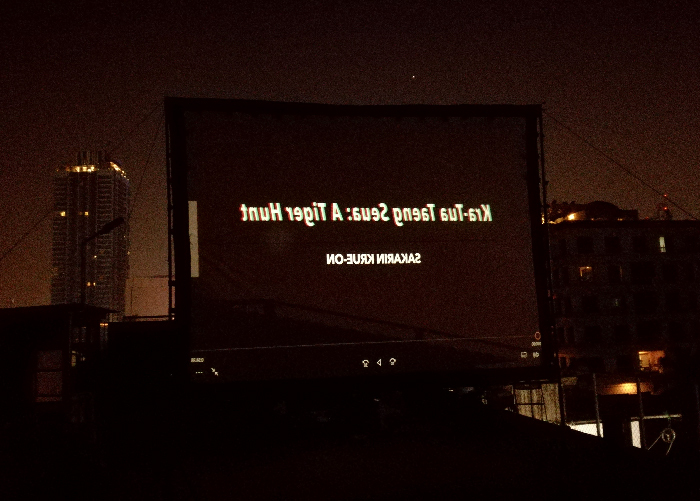 He started with a haunting performance on the 1st floor, gradually moved up to the rooftop for a performance with Bangkok as his backdrop, lastly inside the glass box on the 4th floor. 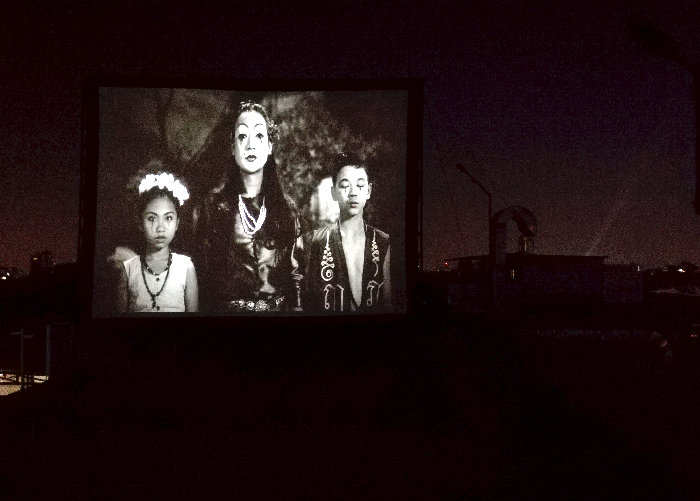 For most of the audience, it was their first encounter with Butoh. 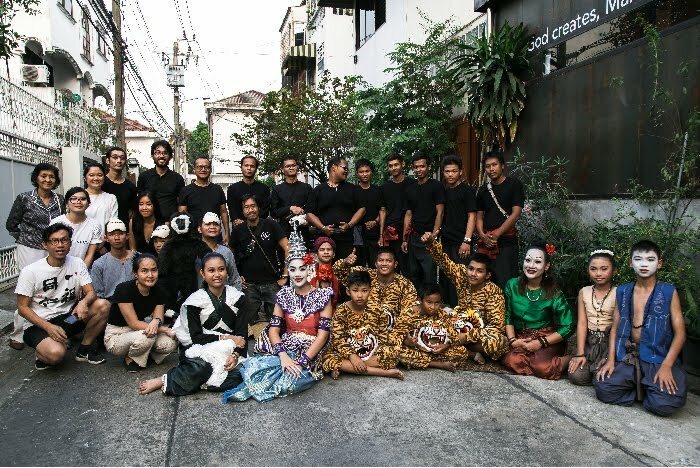 Man&God Bangkok was graced by a live street performance of a Thai folktale Kra-Tua Taeng Seua (A Tiger Hunt) by Wat Khuha Sawan Folk Play Company on 19th February. 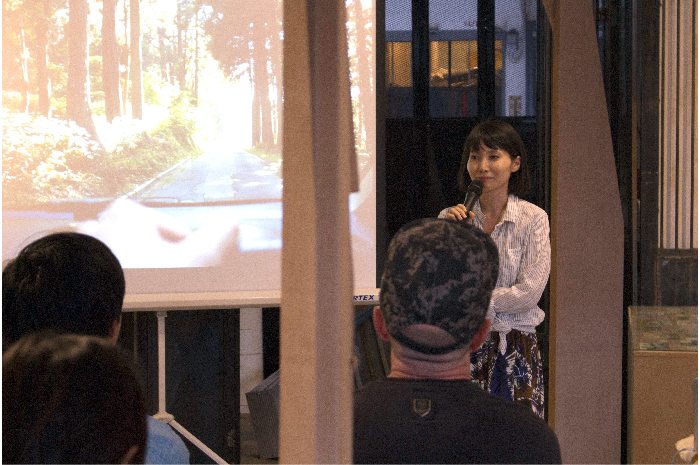 The film screening of "A Tiger Hunt" by Sakarin Krue-On added the final touches to the night. 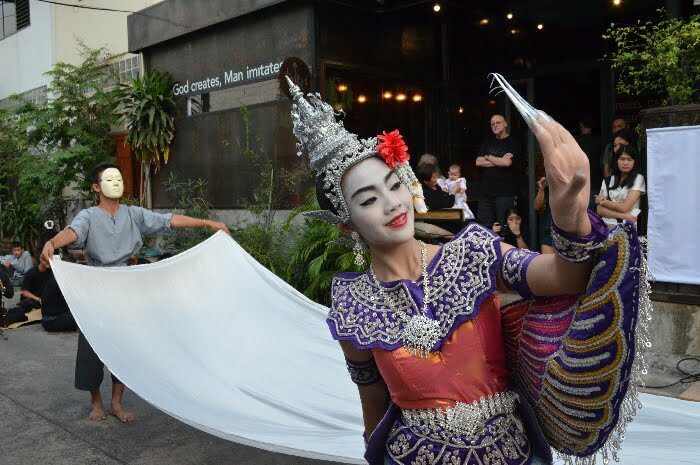 Amidst Bangkok's cityscape and its sounds in the background, it was a perfect blend of tradition and modern Thai culture on the rooftop of Tribes Community. 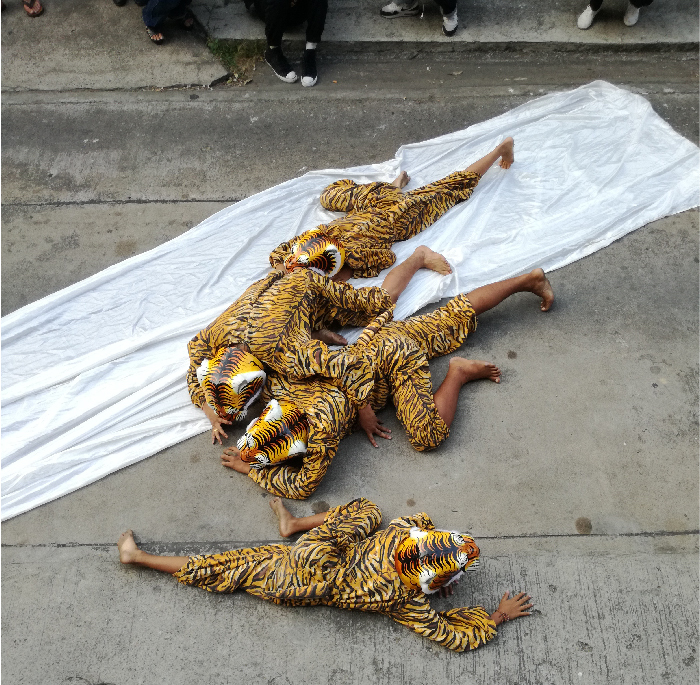 A Tiger Hunt is commissioned by Singapore Art Museum for Singapore Art Biennale 2016: An Atlas of Mirrors. Film screening of "A Tiger Hunt"
In conjunction with Bangkok Design Festival, Man&God visual feast opens in Bangkok this February. 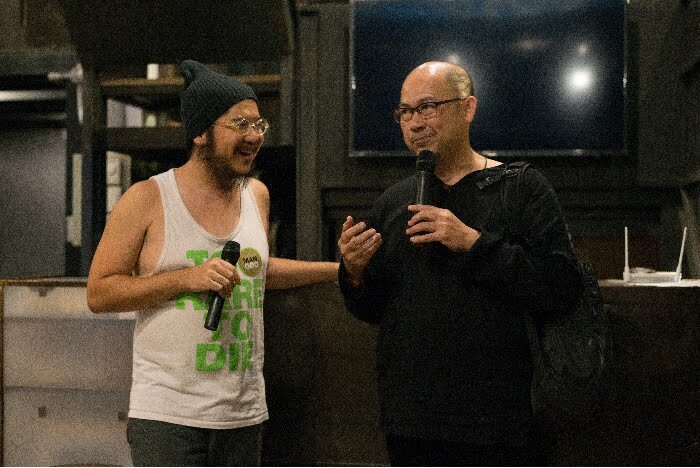 The 15th edition of Man&God will be bringing new artwork with the collaboration of Thai artists and design community. We invite you to join us physically and spiritually. 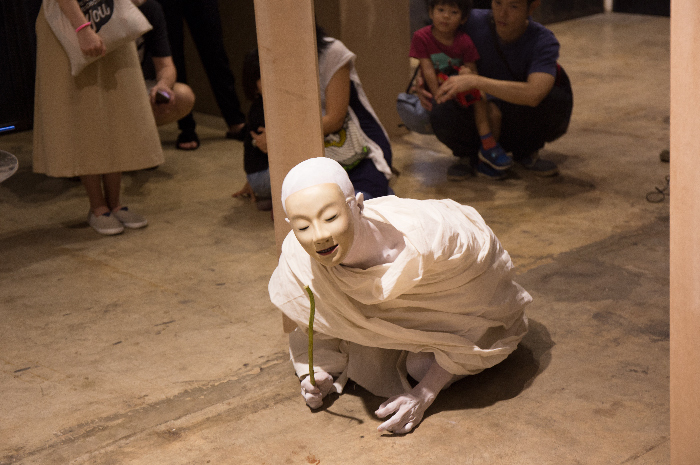 On 17th February, Man&God’s resident artist Lee Swee Keong, a renowned Butoh Master in Asia will be performing at 7pm. 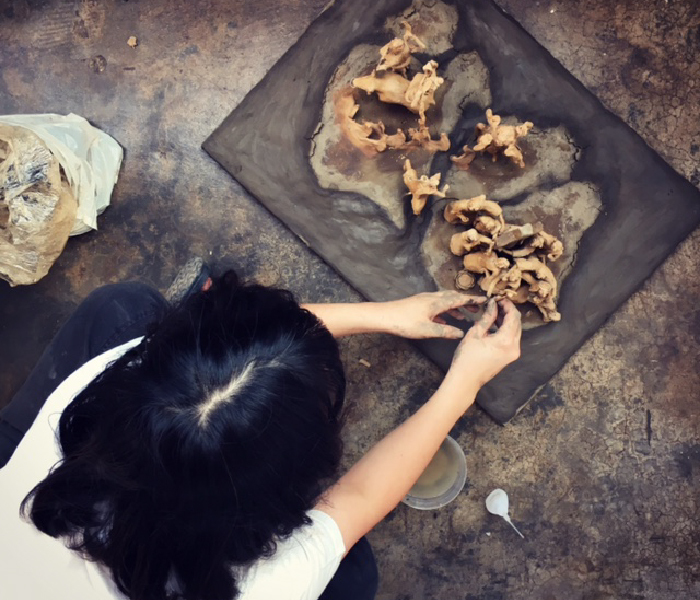 The exhibition will also be graced by a performance by a Thai contemporary visual artist, Sakarin Krue-On at 4.30pm on 19thFebruary. 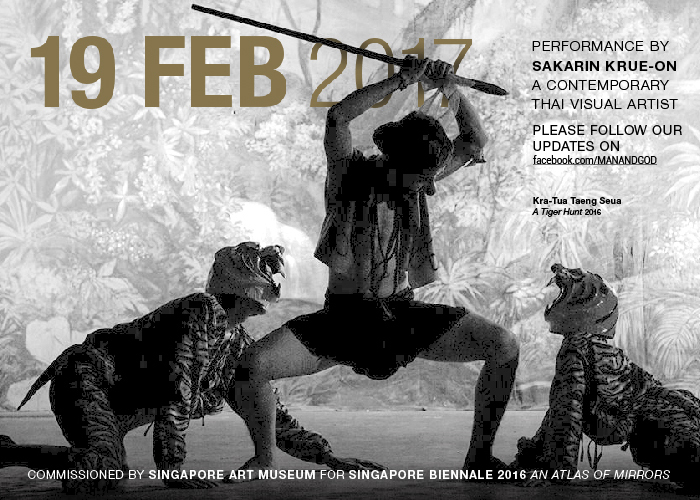 His performance “A Tiger Hunt” is a parallel project commissioned by Singapore Art Museum for Singapore Art Biennale 2016: An Atlas of Mirrors. 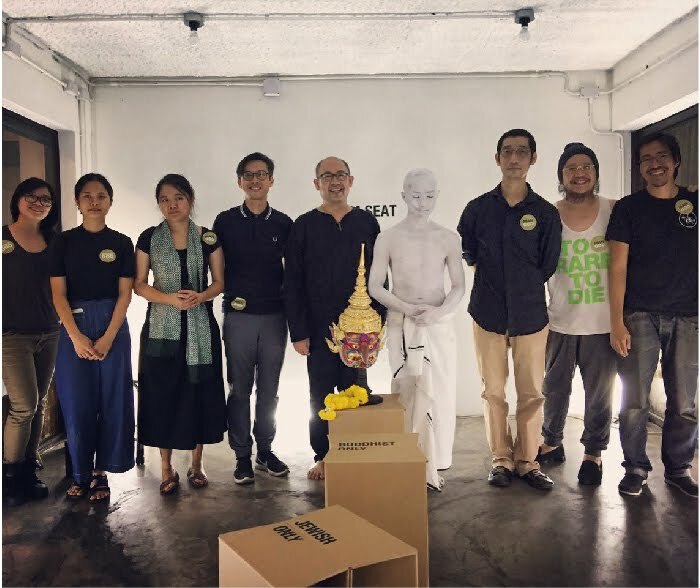 Man&God Bangkok is co-organized by Tribes Community and Art4D; co-curated by 3x and SoA+D; supported by HP, Panel Plus and 3nity.